Find out what’s new at this bustling stretch. 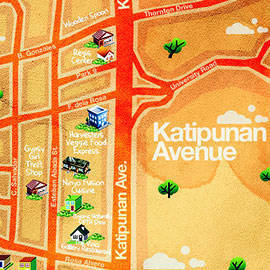 Discover new places to hang out in Loyola Heights. Click for more. (SPOT.ph) A lot has changed in the two years since we last wrote about this neighborhood. While it's still the same student-frenzied, traffic-congested, restaurant-lined stretch, establishments have opened and closed, people have graduated, and yet more construction is underway. 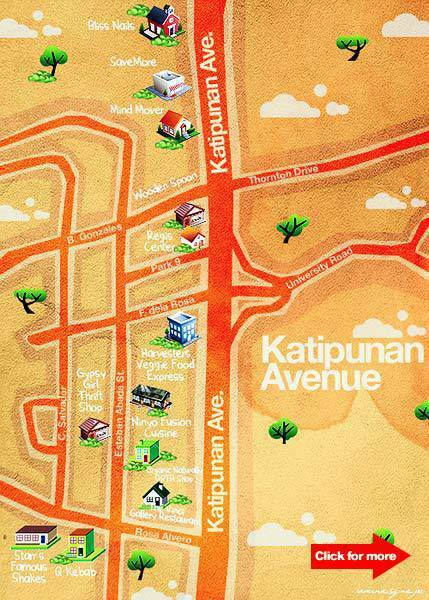 Despite its name’s origins as a secret renegade organization, Katipunan is now a bustling thoroughfare considered one of the metro's favorite hangouts--one where you’ll find cafes, bookstores, fastfood joints, and even salons all in one row. It's a tight squeeze, but definitely fun. So find a place to park and walk everywhere from there. For brevity, we decided to limit our feature to Loyola Heights (including neighboring streets). Establishments included in the previous edition (click here) were exempted from this list.